Meth Paranoia: What Causes It and How to Deal WIth It? Meth Paranoia: Does Methamphetamine Cause Paranoia? Of course, meth can cause paranoia. The risk increases with a long-term abuse. Meth paranoia is a serious condition. Thus, you should seek an immediate medical care. 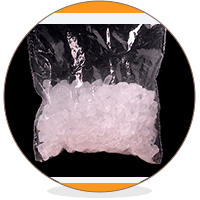 Crystal meth is a crystalline form of Amphetamine. It has no medical value, and its use is illegal. But, Amphetamine is a proper medication. Doctors use it to treat ADHD and narcolepsy. It is one of the most abused illicit drugs in the world. A 2011 DEA report shows almost 12 million Americans used it at least once in their lifetime. Currently, meth abuse is a nationwide drug problem in the US. Paranoia is a distortion in the perception of one’s self and security. It causes them to think that everyone is conspiring against them. They exhibit a hostile behavior and may harm others. Also, they have a false sense of self-importance. It is a symptom of an underlying mental disorder. For example, schizophrenia or drug abuse. Yet, having paranoia does not mean they have a full-blown schizophrenia. Diagnostic and Statistical Manual of Mental Disorders provides criteria for classifying mental disorders. It says paranoia is not a disease in its own terms. In fact, it is a symptom of a complicated disorder. They call it Paranoid Personality Disorder (PPD). Addicts who have a long history of meth abuse may develop a similar distortion in their thoughts. They call it meth paranoia. The risk is higher in those who smoke, snort or inject it. So, taking by mouth is less risky. What Are The Symptoms Of Meth Paranoia? Moreover, some patients may have olfactory hallucinations. It means they sense the smell that is not present in the environment. Some may have a false belief that someone is aware of their thoughts. A false belief that they do not have any mental health issue. As a result, they do not need any treatment. The link between meth and paranoia is well known. In the medical world, they call it meth-induced paranoia (MIP). But, only a few studies have attempted to differentiate MIP from the paranoia due to other causes. Meth enhances the release of a brain chemical. They call it dopamine. As a result, it produces heightened alertness and euphoric feelings. Furthermore, it improves memory, language function, and processing of signals in the brain. Many studies suggest an increased dopamine level may lead to the symptoms of schizophrenia. They call this “dopamine hypothesis of schizophrenia.” In fact, many medications for schizophrenia reduce the brain dopamine level. Long-term meth abuse may also cause some structural changes in the brain. Notably, the dopamine system is overactive in these patients. The changes in brain chemistry and structure have a combined effect on how you think and behave. As a result, you develop the classical symptoms of paranoia. They include hallucinations and changes in thought processing. Additionally, they may fail to respond normally to external stimuli. Many researchers believe there is a link between meth and paranoia. Nonetheless, only a few studies have attempted to find a direct link. But, the association between meth abuse and psychosis is well established. They call it meth-induced psychosis or stimulant psychosis. Psychosis is not a disease. Rather it is a symptom. In most cases, it is a hallmark of schizophrenia. A Study suggests meth-induced psychosis and schizophrenia may have a common genetic link. The tendency of self-harm is high among the meth paranoia patients. Moreover, they may get illegal weapons to safeguard themselves. Meth paranoia and other mental disorders have similar symptoms. For this reason, recognizing it is a challenge for the clinicians. Thus, they check your substance abuse history before starting treatment. If you or anyone you love has meth paranoia, talk to an addiction counselor. They can provide accurate information on a variety of addiction-related topics. Their knowledge and experience are invaluable to your journey to sobriety. In fact, with their guidance, you can expect a swift and complete recovery. Addiction centers have every resource to help someone with an addiction. They have qualified medical professionals and individualized addiction treatment plans. Moreover, they also have provisions for auxiliary care. Need a professional help to fight an addiction or meth paranoia? Get the best rehabs page here. 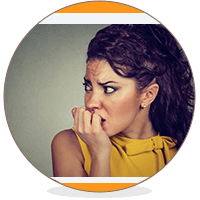 Addiction Resource » Addictive Substances: The Anatomy of Drug Addiction » Understanding Crystal Meth Addiction » Meth Paranoia: Does Methamphetamine Cause Paranoia? Is someone here I can talk to. Please call (888)-459-5511, professionals at Delphi Health Group will be glad to help You and answer all of your questions. My son has abused meth. He has been diagnosed as ADHD. I gave him a drug test that came back negative. He has acted paranoid off and on. My fiance is using meth and I’d always accusing me of talking to other men. He says he can hear the other man on the other end of the phone?! I have been going through the same thing. My husband has accused me over and over again of cheating…talking to other men…and I’m not doing ANYTHING. I was so miserable…I left him. Thanks to meth. My husband just checked himself into rehab. He is a meth addict and has been using for a year and a half now. I pray this works because I don’t want to leave him alone and take our two beautiful daughters from him. But if he uses again when he gets out- that is the only choice I have. I can’t have their dad high around them. He is eratic and impulsive when using. It’s amazing how people will blame the drug someone uses before they even bother to look into the users background or situation and see what is causing the person to want to take or do such drugs. Some addicts I met did not simply just wake up one day and think hey I’m gonna do meth today. They had something in their life that they wanted forget about or numb. These are things people should watch for. red flags emotional distance what is making them want to take a substance to drowned out the feelings? Dont be so quick to blame it on the substance but the user is ultimately the focal point. I have met tons of users that have held jobs for 15+ years durring wich promotions and life changing career building opportunities were given to them, they have all their teeth and healthy children nice families nice homes collage degrees. Guess what they use meth. Does that make them scum or junkies as you call everyone else? They started to use substances to help them make that career climb and Invested in it for in the long run they were doin to make sure they would have a better chance in life. I used meth for 2 years, I also smoked marijuana for 10. Quit them both 2 months ago by underline reason for using . Depression. I have anxiety. Bipolar depression, / meth only worsened my condition my last come down was the worst . I believed everyone was undercover cops. And that my friends were all fake and were against me at times when they just wanted to hang out. I thought people were in my house if I left the door open when I left so I would get back and check the house and check every room closet , I even checked the attic and this is even weeks after being clean so the 2 years I used was long enough to cause me some permanent brain damage . And MIP, so anyone using I recommend quitting asap! And get help it’s a terrible drug that destroys your brain and family and I do not recommend it for anyone . Especially anyone with mental disorders. Luke, you said you were still feeling the paranoia and erratic behavior 2 weeks after being sober? I found out about a month and a half ago that my boyfriend was using meth. He stopped for maybe a couple weeks then started again. I knew something wasn’t right but he lied about it, I caught him 2 weeks ago. Since, he says he hasn’t don’t it. He swears to me and he’s convincing….but I can’t tell something isn’t right. He’s still having trouble sleeping, when he does finally fall asleep, he sleeps…but it takes him a while. And the paranoia is still there. I can tell he’s trying to hide it, but he can’t help but blurt things out. I don’t know what to do, where to start or what kind of help to get him. Any suggestions on what I can do to help or what to expect?